This guide covers the Thames-Coromandel and Hauraki districts only. For other districts in the Waikato Region, please refer to the Zero Waste in the Waikato Region post. The Coromandel Peninsula (including the Thames-Coromandel and Hauraki Districts) is stunningly beautiful and there is an energy in the community to keep it that way. Dotted around the peninsula are all kinds of businesses and initiatives seeking to support the local community to minimise waste, from the Colville General Store, through to the Seagull Centre and The Goldmine. If you are interested in travelling around and learning about what communities are doing to minimise waste, you’ve certainly got options in this part of the country! For those living around Thames-Coromandel or Hauraki District, strategic shopping (that is, combining trips around the peninsula with zero waste purchases) can mean that it is possible to live with very little rubbish. It’s an exciting prospect and we got the feeling that low-waste businesses and community initiatives are on the rise. Lots of pantry staples – from flours, grains and rice, through to condiments, spices, legumes, nuts, seeds and liquid foods – usually come in single-use packets. Here, we list shops that stock all manner of pantry foods loose in bulk bins (or which at least have an option for you to avoid unnecessary packaging), so that you can put these ingredients straight into your own bags, jars, containers and bottles, and skip the packaging! Bin Inn Thames, 707 Pollen St, Thames – offers a wide array of dried food in bulk (including, but not limited to, nuts, seeds, cereals, grains, flours, and legumes), a range of spices, liquid foods (including vinegars, oils and syrups), sweets and treats, and items essential for zero waste living, such as baking soda, salt and other specialty baking/cooking goods. They also have a peanut butter extruder, just BYO jar! All Bin Inn stores around New Zealand are currently offering 5% discount when you bring your own containers! Thames Organic Shop, 736 Pollen St, Thames – Rather than having bulk bins, Thames Organic Shop repackages their bulk wholefoods into cellophane packaging, which is home compostable. However, they may be amenable to refilling your BYO bags/containers out the back, as they keep their bulk supplies on site. So just ask! Colville General Store, 2314 Colville Road, Colville – offers a range of bulk dried food as well as liquids (including oils, vinegars, tamari). Next door to the store you will also find the Colville Cafe, from which local business, Wholefood Cafe, operates. Wholefood Cafe serves real food, without the throw away aspect – you won’t find any takeaway cups, dishes or cutlery here (you can take away, provided you BYO cups/containers etc!). Instead, simply take a seat, relax, and enjoy a waste-free kai that is good for your body as well as your psyche! Whangamata Foodmarket, 612 Port Road, Whangamatā – has a small selection of bulk products, including nuts, seeds, and dried fruit. Fruit Valley, 68 Belmont Road, Paeroa – has a range of bulk bins, including spices, beans, legumes, grains, salt and even baking soda! Supermarkets – all major supermarkets have well stocked bulk bin/pick and mix sections with wholefoods (BYO bags for these). However they’re pretty expensive, often more so than equivalent ingredients in packets (bah! ), and more so than the bulk bins at places like Bin Inn or The Colville General Store. Places that sell unpackaged meat, sausages, meat products, seafood, cheese and/or deli foods who will happily put your unwrapped purchases straight into a BYO container – woohoo! Bite Deli, The Depot, 715 Pollen St, Thames – this store stocks a range of delicatessen meat, cheese and treats products which they will happily put in your BYO bags/containers. 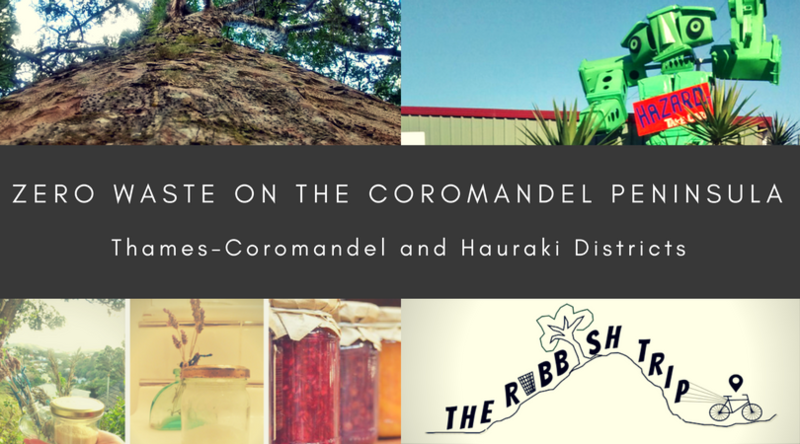 The Coromandel Smoking Co., 70 Tiki Road, Coromandel Town – will put their delicious smoked mussels directly into your BYO container – packaging free! Coromandel Meatkeeper, 55 Kapanga Road, Coromandel Township – this butcher will put cuts of meat directly into your BYO container, otherwise they wrap cuts of meat in paper (rather than plastic). The following stores bake and sell unpackaged bread and bakery goods (some things in some of these stores might be pre-packed or wrapped in cling film, just avoid those things!). So all you need to do is BYO bag to put the bread/bakery goods into. Some places will bag up their bread later in the day, so you want to get in there early enough before they do that (i.e. before 1pm). RAW Artisan Market Place, Unit 2/8 Haszard Street, Waihi – sells Lewis Road Bakery bread, which comes in home compostable wrapping. Colville General Store, 2314 Colville Road, Colville – stocks organic bread made in Papa Aroha. This bread is packaged, but in supposedly home-compostable packaging. Most supermarkets (and even some Four Squares) stock unpackaged bread, bread rolls and/or bakery goods in their bakery section – just pop them into your BYO bags! Markets – No two ways about it, if you want to get a good source of unpackaged, often locally grown, produce, markets are the place to frequent! By and large, we’ve found that markets, where you can meet the grower/producer face-to-face, are really great for starting fruitful conversations about waste-free food, and developing relationships and systems that enable you to get your favourite fruit, vege and preserves without the packaging. Have a chat to see if you can leave containers with the stall holders for them to fill with your desired product for you to pick up from them the following week, or if the stallholder uses glass jars for packaging, ask whether they will take their empty glass jars back for sterilisation and reuse. A real standout being the Thames Market, which is endeavouring to be plastic-free (and doing a pretty darn good job of it! ), and there are lots of things on offer that you should be able to get rubbish-free if you BYO bags and containers, including locally produced plants, fruit and vegs, bric-a-brac, second hand goods, arts and crafts, fine food, cheeses, speciality oils, health and body care products, flowers, bread, and knit wares. Loving Earth raw chocolate (which comes in Econic home compostable packaging. Find it at RAW Artisan Market Place, Unit 2/8 Haszard Street, Waihi; Four Square Coromandel Town, 50 Wharf Road; and All Things Organic (237 Main Road, Tairua AND 1 Monk Street, Whitianga). Whangamata Foodmarket, 612 Port Road, Whangamatā stocks sweets/lollies in bulk bins. Milk – you can get fresh, raw milk into reusable glass bottles from a vending machine at either Farmgate Raw Milk, 3263 Tairua Whitianga Road, Whitianga; or Buttercup Dairies, 124 Hauraki Road, Turua. Just buy the glass bottles the first time you go, and from then on keep those glass bottles and reuse them at the vending machine over and over again. Coffee – look out for local roasters and go straight there with your own bags and containers for beans and grinds. Otherwise, you can get beans and grinds in bulk from Bin Inn Thames, 707 Pollen St, Thames and the Colville General Store, 2314 Colville Road, Colville. Tea – you can also get Herbal Potential tea, which comes in home compostable brown paper bags, at RAW Artisan Marketplace, Unit 2/8 Haszard Street, Waihi. Drinking chocolate – Kokako brand drinking chocolate comes in packaging that is compostable in a home compost. It is stocked in All Things Organic (237 Main Road, Tairua AND 1 Monk Street, Whitianga). Plastic shopping bags are a menace, but so too are those plastic produce bags for fruit and vege or the plastic bags often offered alongside bulk bins at bulk stores. You can avoid them by bringing your own bags or buying a set of reusable produce bags. You can get a range of reusable produce bags at the Thames Organic Shop, 736 Pollen St, Thames; 100% cotton bags at RAW Artisan Marketplace, Unit 2/8 Haszard Street, Waihi; and a range of jute and hessian bags at Bargains N More, 67 Seddon Street, Waihi. You can also order bags from Rinse and Repeat, an online store of alternatives to single-use plastic, made by local Coromandel woman Genevieve Lloyd. Fagans, 33 Albert Street, Whitianga; All Things Organic (237 Main Road, Tairua AND 1 Monk Street, Whitianga). Beeswax wrap – available at Savour & Spice, The Depot, 715 Pollen St, Thames; RAW Artisan Marketplace, Unit 2/8 Haszard Street, Waihi; Tidewater Motel, 270 Tiki Road, Coromandel Town; Fagans, 33 Albert Street, Whitianga and Busy Beeswax Food Wraps – locally made (in Whangamatā). Either order through Facebook, look out for them in stores around the Coromandel peninsula, or contact Linsay directly to arrange pick-up. You can also make your own! Just look out for natural fabrics (quilting stores, e.g. Tis The Season, 7 Blacksmith Lane, Whitianga, and op-shops are good) and unpackaged beeswax (at Colville General Store, 2314 Colville Road, Colville). Silicone pot/bowlcovers – a good option for storing leftovers in a bowl (other than just putting a plate on top!) or as an alternative to tin foil for roasting (as the covers can withstand temperatures of up to 220 degrees and will also keep hot food warm when transporting). You can buy these at James & Turner Ltd, 131 Kapanga Road, Coromandel Town; Fagans, 33 Albert Street, Whitianga; and Table Talk, 652 Port Road, Whangamatā. You can get Go Bamboo veggie brushes which work well as dish scrubbers from Four Square Coromandel Town, 50 Wharf Road; Colville General Store, 2314 Colville Road, Colville; and All Things Organic (237 Main Road, Tairua AND 1 Monk Street, Whitianga). For something more like a traditional dishcloth sponge, check out Bargains N More, 67 Seddon Street, Waihi, which stocks cloths/sponges made of bamboo and ramie, and should be home compostable at the end of their life. Bin Inn Thames, 707 Pollen St, Thames – stocks a wide range of both liquid and powdered cleaning products/ingredients that you can fill your own bottles and containers with. Also stocks unpackaged bars of soap. Thames Organic Shop, 736 Pollen St, Thames – offers refills of some Ecostore detergents, including dishwashing liquid, laundry liquid and multi-purpose spray. Also stocks SoapNuts NZ that come in a cardboard box without a plastic inner lining. All Things Organic, 237 Main Road, Tairua and 1 Monk Street, Whitianga – stocks SoapNuts NZ that come in a cardboard box without a plastic inner lining. Bamboo toothbrushes – a great alternative to plastic toothbrushes because they have wooden, home compostable handles (though bristles are still plastic and need to be removed from the handle and put in a rubbish bin). You can find bamboo toothbrushes at Thames Organic Shop, 736 Pollen St, Thames; Colville General Store, 2314 Colville Road, Colville; Four Square Coromandel Town, 50 Wharf Road; All Things Organic, 237 Main Road, Tairua and 1 Monk Street, Whitianga; Agnes + Annabel, 26 Campbell Street, Whitianga; and RAW Artisan Marketplace, Unit 2/8 Haszard Street, Waihi. There are some at New World Whitianga, 1 Joan Gaskell Drive, Whitianga, but the packaging contains plastic…. Duh! The following stores sell totally naked bars of soap, or in compostable paper: Star Gallery, 24 Kapanga Road, Coromandel Town; Colville General Store, 2314 Colville Road, Colville; Mint, 14 Coghill Street, Whitianga; Divine Delights, 88 Seddon Street, Waihi. We’d encourage you to get your everyday toiletries – from shampoo through to shaving soap – in bar form, which means you totally avoid the plastic/aluminium bottles that liquid products usually come in! The popular Ethique range which includes shampoo bars, conditioner bars, shaving bars, deodorant bars, moisturiser bars, etc. (all of Ethique‘s bars come in home compostable packaging) is stocked at Thames Organic Shop, 736 Pollen St, Thames. Aroha 4 U deodorant in a cardboard compostable tube is sold at All Things Organic (237 Main Road, Tairua AND 1 Monk Street, Whitianga). There are zero waste, low cost alternatives to disposable sanitary items like tampons and pads. You can get menstrual cups at Thames Organic Shop, 736 Pollen St, Thames; Unichem Coromandel Pharmacy, 89 Kapanga Road, Coromandel Town; Countdown Whitianga, 24 Joan Gaskell Drive, Whitianga; New World Whitianga, 1 Joan Gaskell Drive, Whitianga; All Things Organic (237 Main Road, Tairua AND 1 Monk Street, Whitianga). Sunscreen – see if you can find sunscreen packaged sustainably, either in cardboard (which us compostable) or in a jar/tin that you can reuse. You can get very small cardboard packaged sunscreen at Unichem Stephesons Pharmacy, corner of Albert Street and Blacksmith Lane, Whitianga. Or get locally made Beekeeper’s Daughter sunscreen in a little glass jar at Mint, 14 Coghill Street, Whitianga. Get Essone also in a glass jar at Eden Clinic, 57 Albert Street, Whitianga. Cotton Buds – Go Bamboo makes home compostable buds so you can avoid the single-use, unrecyclable plastic ones. Get them from RAW Artisan Marketplace, Unit 2/8 Haszard Street, Waihi; Four Square Coromandel Town, 50 Wharf Road; Colville General Store, 2314 Colville Road, Colville; All Things Organic (237 Main Road, Tairua AND 1 Monk Street, Whitianga). Toilet Paper – we would recommend Greencane toilet paper as it is wrapped in home compostable packaging. You can it at Thames Organic Shop, 736 Pollen St, Thames; and Colville General Store, 2314 Colville Road, Colville. KAIAS Naturals – this wonderful local business creates natural hair, skin and oral care products and offers customers a 10% discount if they return containers for refills (yes, seriously!). You can either purchase online, or get their products from All Things Organic, 237 Main Road, Tairua and 1 Monk Street, Whitianga; and RAW Artisan Marketplace, Unit 2/8 Haszard Street, Waihi. Seagull Centre, Burke St, Thames – an excellent community-run recycling and recovery centre. Avoid the landfill and instead bring along materials to be recovered, reused, recycled and/or offered as affordable second hand goods to people living in the community. Visit the centre to see what is on offer – metal, timber, building supplies, electronics, clothing, homewares etc. etc. – the list goes on! The centre is also a drop-off point for e-waste, so you can ensure that your broken appliances and electronics are either repaired and onsold, or recycled safely (at a small cost). The centre also runs a fortnightly auction of some really special goods – keep your eye out for that! The Goldmine Coromandel Reuse Centre 525 Hauraki Road, Coromandel Town – a newly opened community reuse and recovery centre run by Coromandel Independent Living Trust (CILT). Drop-off unwanted materials here and if they’re fit to be done up and/or reused, they’ll be offered back to the community at affordable rates through the reuse shop (instead of going to landfill)! Take advantage of the store by having a look at what’s on offer. The centre also has a workshop on site for repairs, so check that out too – maybe you can rescue a much-loved item rather than giving it away. If you have e-waste, you can drop that off at the centre for safe recycling and disposal. Waihi E-Waste Recycle Depot, 2 Rata Street, Waihi – If you’ve got e-waste to recycle in Hauraki District, anything electronic can be dropped off here (at a small charge). Hi, Just letting you know about The Wholefood Cafe in Colville, right next door to the Colville General Store. The cafe premises are owned by the same organisation as the General Store, the Colville Cooperative Society, The Co-op is trying out a new operational model…leasing cafe and retail space to community users on a daily basis, to showcase our area’s creative works, and encourage retail pop-ups and entrepreneurial foodies in the area to get in, get busy, and get their businesses up and running, without having to make a huge financial commitment to long term service contracts, and other high overheads. The Wholefood Cafe is the first business to take advantage. It is run by a collective of local women, working together to create a healthy ‘real food’ experience for the community, while discouraging the throw away fast food culture so prevalent in our foodie scene in New Zealand. Their chief innovation? No take away cups or dishes…you can have a take away, if you bring your own cup, bowl or plate. Customers are encouraged to slow down, sit and relax and enjoy being in Colville, before they race off to their next destination. The operators are doing their part to save the planet, and in the process, end that ‘gotta get there!’ attitude to travelling. Check out the Coville Cafe Facebook page for more info and updates. Thanks for this comment! We’ll add a note in about the cafe next to the General Store bullet point – aim being to highlight the waste-free kaupapa of the cafe – love it! And it’s so true that often waste production is not just about where we shop, but our approach to life generally – when we slow things down and give ourselves space to enjoy our surroundings in a less frenetic way, we are often more open to less wasteful alternatives (not to mention less reliant on convenience-based items that are often wasteful!) Awesome to see this kaupapa being transmitted at the cafe in Colville 🙂 We wish you the collective the best of luck and no doubt the customers will love it! Kia ora Melanie – you’re probably not in Cooks Beach/Whitianga anymore, but wherever you are travelling if you’re stuck on places to compost, check http://www.sharewaste.co.nz to see if there’s a location near where you are where you can take your food scraps. Also, we often go to community gardens and see if they have a compost that they’re OK for us to put our food scraps into. Another thing to consider, if you’re travelling fulltime in a Motorhome, is to get a bokashi bin as it doesn’t take much space and you can deal with all kinds of food waste in them and you don’t need to empty it regularly and when you do, it’s not huge quantities so shouldn’t be hard to find somewhere along the way that you can dig it into the ground.